While I do a lot of repairs on things like broken garage door springs, I also do a fair bit of installing new garage door openers. Because of this, I do tend to get a lot of questions about what I recommend. In fact, I recently had a conversation with a Saddlebrooke homeowner needing a new garage door opener, and I kind of gathered my thoughts and decided to share it here so others can reference it. 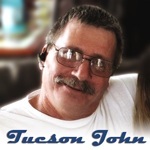 During our years of experience we have sold, installed or serviced/repaired pretty much every brand on the market. The truth is, there’s really only a few major manufacturers that produce the units and then label them differently according to quality. For example, Chamberlain is the parent company and makes a lower cost (but lower quality) unit simply labeled “Chamberlain” which is sold at Sears and such places. 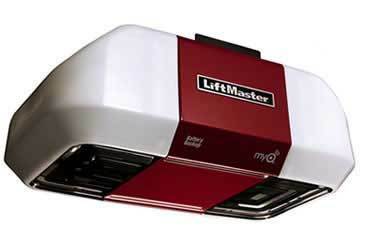 They also produce a professional line labeled “LiftMaster” that can only be purchased from professional dealers. There is quite a difference in quality of the unit – the old saying “you get what you pay for.” Units purchased from professional door companies will cost more but it is for good reason. As for my opinion of the best – Chamberlain – no question. If you save up a little bit more and get the LiftMaster brand (made by Chamberlain) then you’re at the top. I’m sorry to disagree but brands such as Genie or Stanley are on the bottom of my list for quality – I believe Chamberlain makes the best low-budget model available. As for the drive type – a word of caution. We advise all of our customers to stay away from screw drives. We even have a screw drive model (by liftmaster) that we carry and we still advise our customers not to buy it. Our experience has shown that screw drive models (especially on larger doors) will begin to cause trouble long before a chain or belt driven model will.